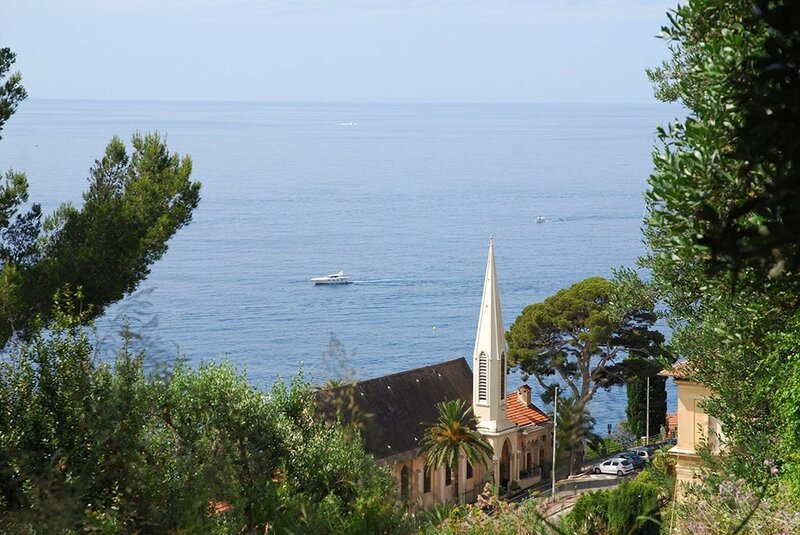 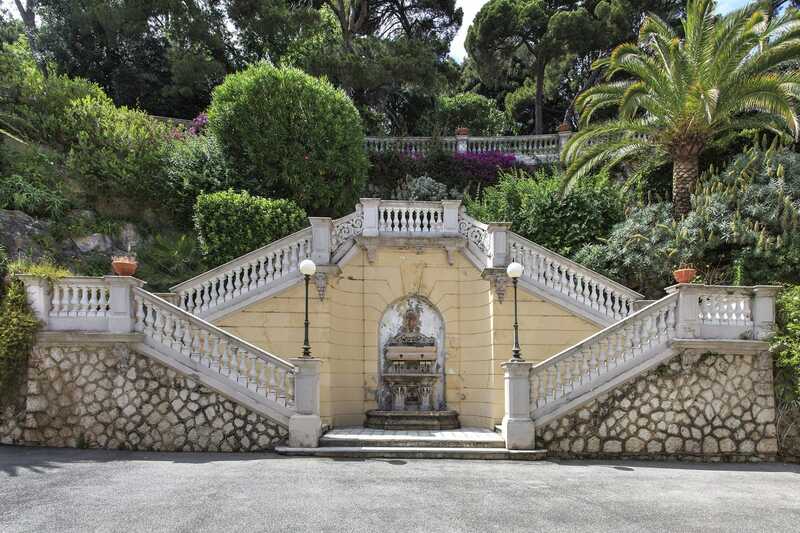 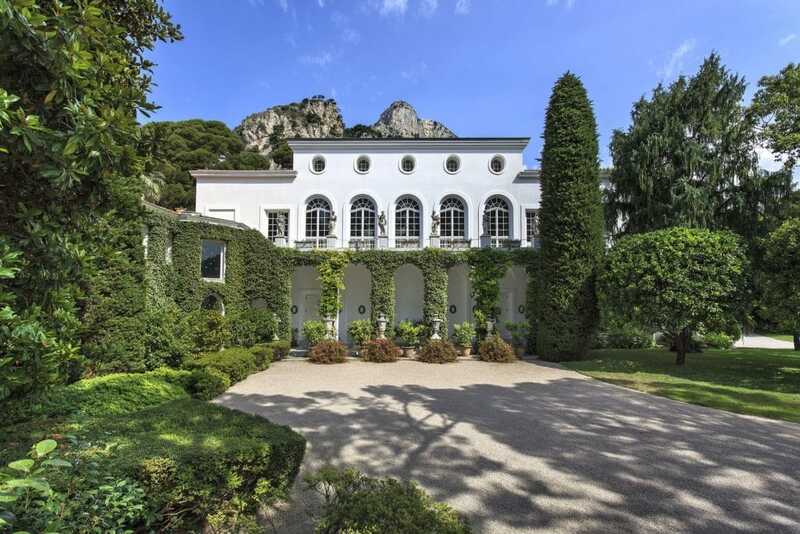 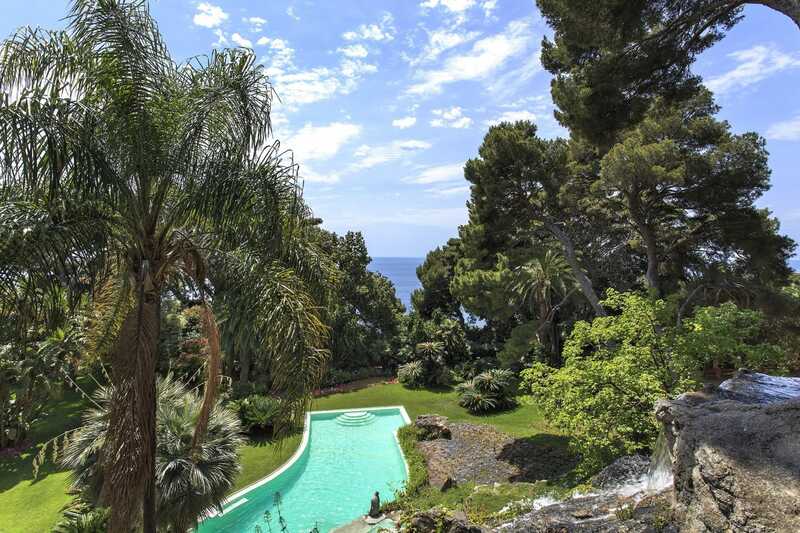 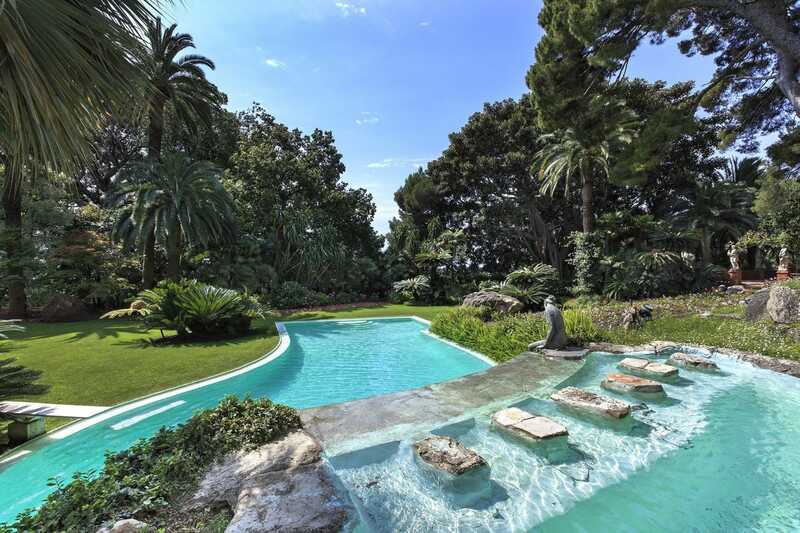 With superb views of Monte-Carlo, the Palais and beautiful Mediterranean sea, this magnificent Chateau originally owned by British Ambassador Sir Edward Malet, is situated on a promontory of over 14 acres just on the outskirts of Monaco. 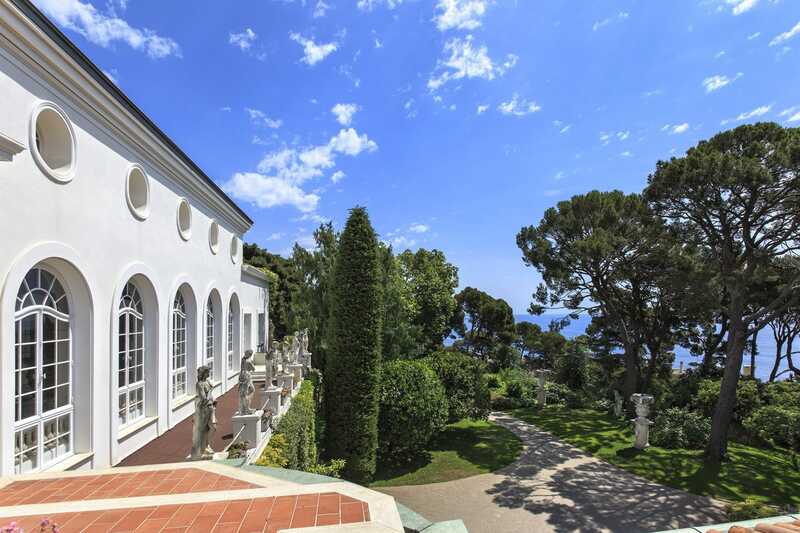 In 1896, Chateau Malet was completed by Danish architect Han-Georg Tersling, famous for having built the Metropole Hotel in Monaco, and then later redesigned by a French architect in 1961. 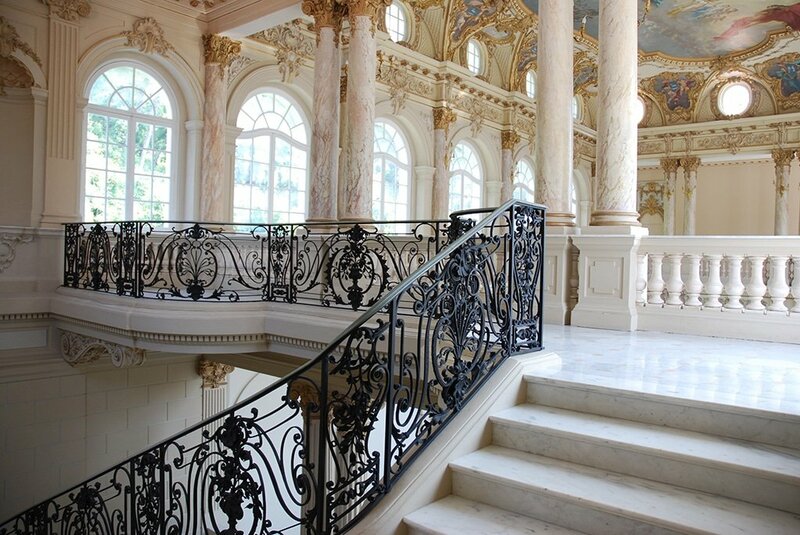 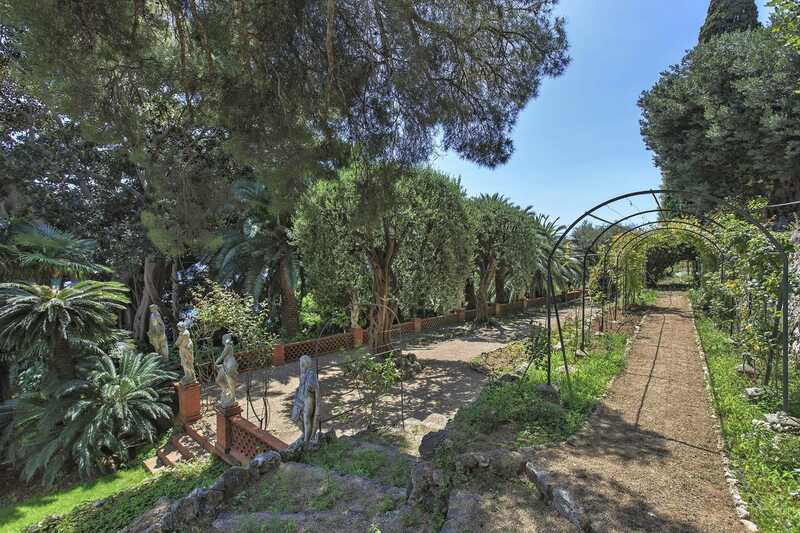 With over 13,000 square feet, this historical property features impressive cathedral ceilings, a majestic staircase, an impressive Italian ballroom, solarium, elevator, pool house, staff quarters and 2 separate guesthouses. 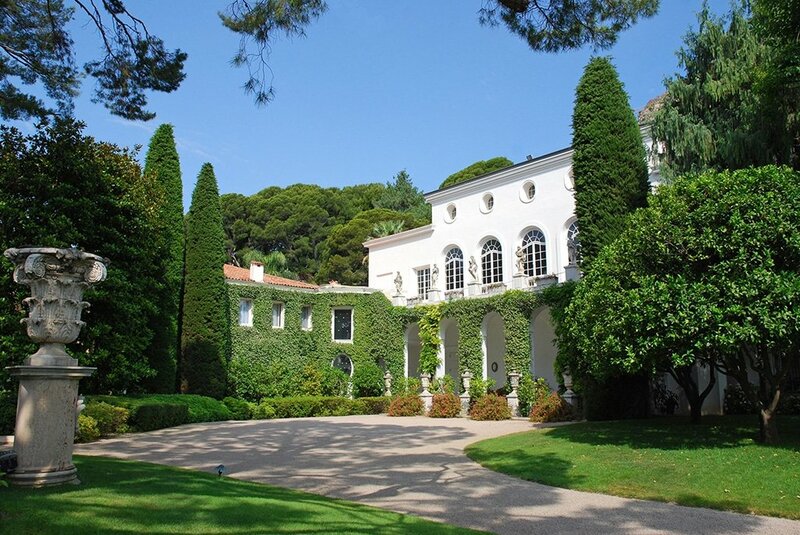 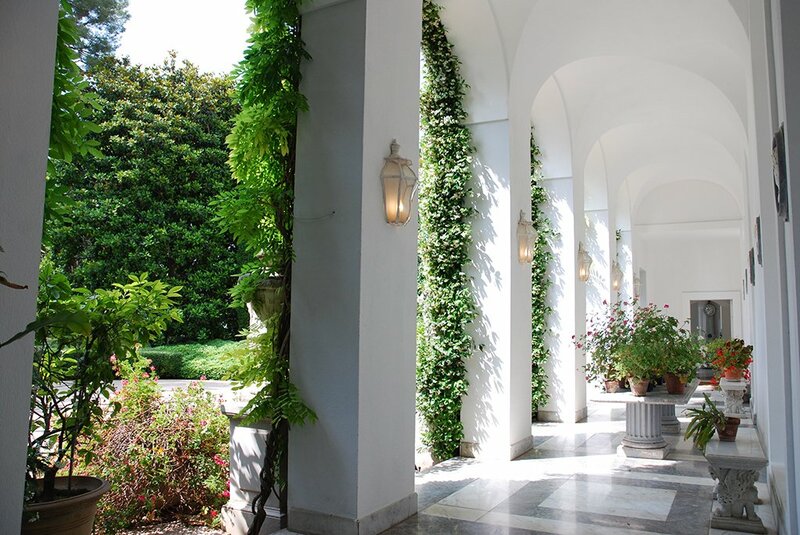 Behind gates, the private estate is adorned with mature olive trees, maritime pines, roses bushes, a palm grove and many exotic plants.